Contoh Lesson Plan Bahasa Inggris ( English For Traveller ) Terbaru – Lesson plan atau dalam Bahasa Indonesianya disebut rencana pembelajaran atau RPP sangat berguna untuk guru atau pengajar dalam memudahkan dan melancarkan proses belajar mengajar didalam kelas. Berikut ini adalah contoh lesson plan atau RPP untuk English Spesific Purpose. The learners are able to listen a paragraph and write a letter correctly and know how to use English relating to the topic in the correct utterance and pronunciation fluently and properly. The learners are able to do the exercises given both orally or written. The teacher greets the learners. 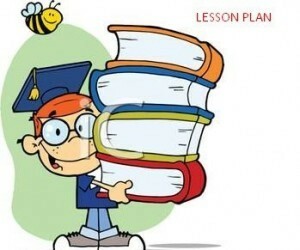 The teacher tells the learners about the topic that is going to be learnt and the objectives of the materials. The teacher asks the learners to mention some steps needed as the preparation, such as “How to make a correct letter and what should they do in writing a letter. The teacher writes the learner’s answer down and explain the case. The teacher plays a cassette recording of the letter. The teacher asks some question related to the conversation. The teacher check the learner’ answer. The teacher repeats the cassette again until some learners find the answer correctly. The teacher asks the students to retell the main point in the letter. The teacher checks the students answer and give more explanation if the students made any mistake. The teacher asks the students to write the letter in the cassette and identify it. The teacher gives the text of the letter. The teacher asks the learners to make a letter in their own words. This is an letter which is made by Melly. She told about his experience to go to Medan. She told about the how long was she arrived there, atmosphere, meal and tourisms place. I can’t believe I’m here at last. The flight was really long. It took almost four hours Anyway North-Sumatra’s great. We arrived in Medan nearly four days ago. It was really hot. I went around the town to see some historical sires. Maimun Empire and the fish market are on my list. I have just arrived in Brastagi. It’s very cold here. We are staying at the hostel. It’s very cheap but the meal is a little bit terrible. So, I prefer eating out. Restaurant “99” offers delicious. So, We almost go there for breakfast, lunch and dinner. From the hostel Ican see a beautiful view, especially in the morning it’s very fantastic. Tomorrow I am going to Samosir Island. I’ll go water skiing. People say that skiing on the Toba lake can be unforgettable experience. Other thing I’m planning to do is fishing in the lake. There are a lot of kinds of fish. I hope I can catch a lot of fish and I will bake them for dinner. I am arriving home on 16 July, in time for school. See you then. Translate these sentences into English! Saya tidak percaya akhirnya saya tiba disini. Kami bisa melihat pemandangan yang indah di pagi hari. Dia (perempuan) tiba dirumah minggu depan. Kami lebih menyukai makan di luar. Mereka berharap mereka bisa menangkap banyak ikan. The restaurant … delicious meal. He is … in Medan next week. She hopes she cans … many fish. We are … at apartment. a) I can’t believe I’m here at last. b) We can see beautiful view in the morning. c) She is arriving home next week. d) We prefer eating out.